Could you give us a virtual preview of the exhibition? Certainly. 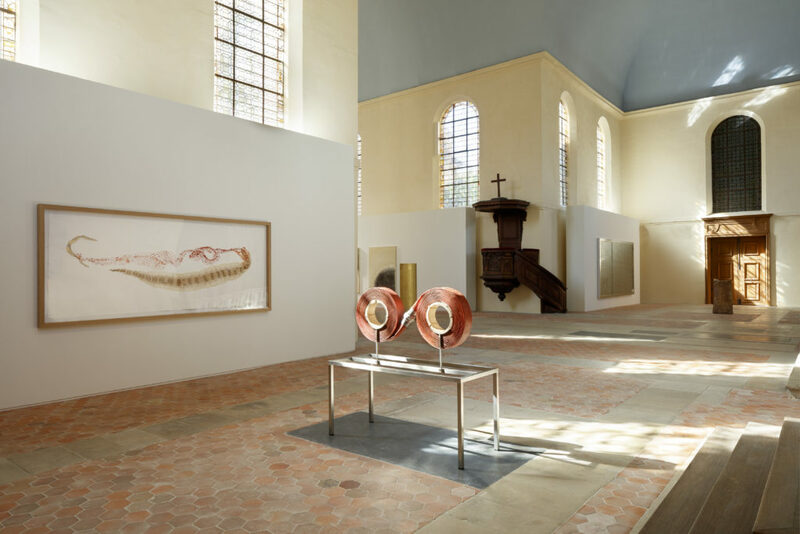 Works from the Pinault Collection are being displayed – as they are every year – in the chapel of the former Laennec Hospital, which was built in the 17th century thanks to the generosity of the Cardinal de la Rochefoucauld. 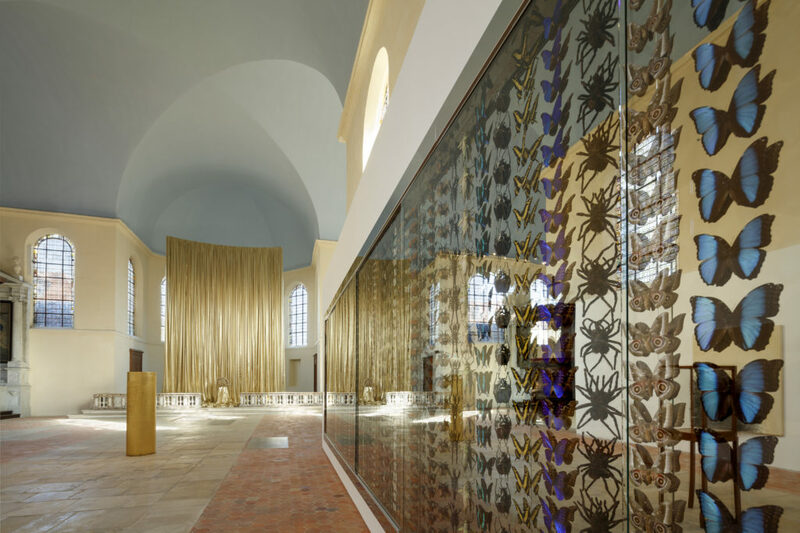 The side walls of the nave feature two large works: Jacob’s Ladder by Damien Hirst on the right and Günther Uecker’s Phantom Weiss on the left. In the nave and choir are displayed three works by James Lee Byars, including Byars is elephant, a spectacular installation that acts as an altar of repose. The right transept has works by Huang Young Ping and Camille Henrot, while on the left we have another piece by Hirst, Infinity, and a work by Giuseppe Penone. So visitors can switch between admiring the building and contemplating the work of great contemporary artists. What inspired the show and what are its goals? The exhibition explores the “traces of the sacred” found in many modern artworks. A number of the pieces on show include fragments of precious objects or oddities, such as insects, nails, wood, a snakeskin – even a piece of a fire hose! In this way, they are continuing the age-old practice of venerating relics. When we consider that the word “relic” comes from the Latin reliquia meaning remnant, art thus becomes a way to subtly accommodate what remains, rendering it sublime. On a similarly metaphorical level, our show echoes the ancient cult of Christian relics, which inspired Louis IX, known as Saint Louis, to acquire artefacts connected with the suffering of Christ, such as the Crown of Thorns, which the Sainte-Chapelle was built to house. Wood, evoking the Cross, is found in Giuseppe Penone’s work Essere vento. 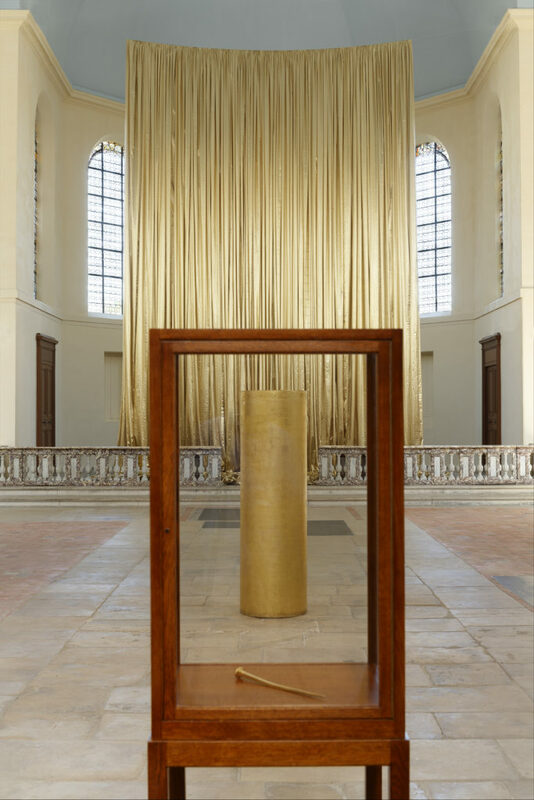 The Philosophical Nail by James Lee Byars recalls the nails of the Crucifixion, while The Golden Tower by the same artist suggests Jesus’s scourging at the pillar, a scene depicted by many artists over the years. Finally, thanks to the multiple meanings of the word lance in French, Camille Henrot’s firehose calls to mind the spear that pierced Christ’s side. The aim of this exhibition, then, is to showcase the dialogue that can take place between heritage and contemporary art and to underline how powerfully the past resonates in today’s artwork. This is the third exhibition that the chapel has hosted. What do you think about this place and the dialogue that it fosters with contemporary art? Dialogue is at the heart of cultural experience. In his “museum without walls”, André Malraux reminds us how much the works of every civilization and of every time have to say to us and each other. Personally, I believe that every work of art, every piece of architecture or music, no matter when it was created, is contemporary because it is revived by the gaze, ear or sensitivity of the individual who contemplates it. What do you think of the restoration of the former Laennec Hospital? Laennec is a wonderful example of 17th century hospital architecture. It was lovingly restored by Benjamin Mouton, chief architect in charge of France’s historical monuments, and Frédéric Druot redesigned it to be the headquarters for Kering and Balenciaga. It offers a suitable and pleasant setting in which to display the works. They fit right in, and there is a really natural and spontaneous feel to their presence here. As we host European Heritage Days for the third time, it is clear to me that François-Henri Pinault’s decision to open up 40, rue de Sèvres to the public and display works from the collection put together by his father, François Pinault, has resulted in what is now an eagerly anticipated and warmly appreciated event. What links do you see between the worlds of luxury and culture? 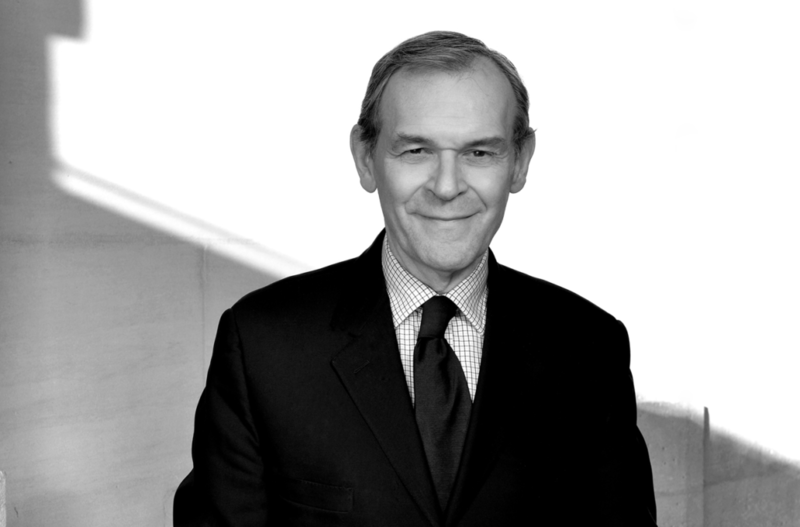 What role should luxury firms play in protecting and promoting heritage? Luxury is a complex concept. It can’t be reduced to value alone or to the expense of the raw materials employed in luxury goods. Luxury is also the quest for new forms, intelligent use of unusual materials, the subtle creativity that goes into crafting rare objects and even, in the case of modern luxury, an emphasis on restraint and sustainability. That being said, in its different guises over the years, Luxury has long had connections to art and culture. For proof, just tour the collections of the great museums, especially those with a decorative arts focus, which are paying more attention to fashion. I would argue that the Maisons that create, produce and sell goods in the luxury sector have a duty to take an interest in art and culture. Not only does this allow them to perform a social responsibility role, it is also a great way to invest in intelligence and talent.